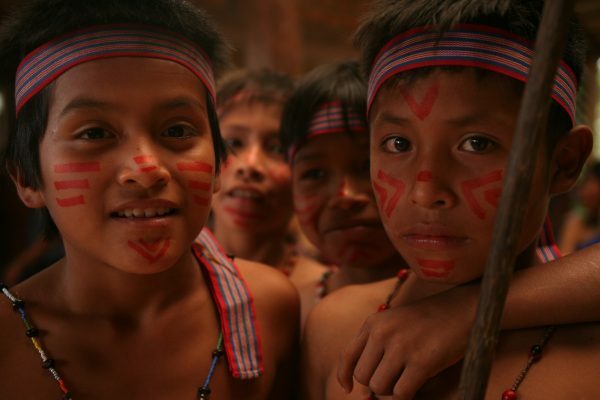 The Shuar Arutam Village is made up of about ten thousand people organized into forty-seven communities. Its territory, of approximately 233 169 hectares, is located in the extreme southeast of Ecuador, in the Cordillera del Cóndor (the Condor Range of the Andes), between the Kuankus and Cenepa rivers, in the Ecuadorian Amazon, and it shares its southern border with Peru. The Cordillera del Condór is one of the most diverse regions of the country, and of the world, for its biodiversity, water and mineral resources, and for the culture and knowledge associated with the Shuar peoples and the mestizos whose ancestral home this is. The area is in the tropical Andes, one of the 35 recognized “hotspots” of biodiversity worldwide. It is estimated that the Cordillera del Cóndor is home to more than 600 species of birds, 120 species of amphibians, and 59 species of reptiles. In each hectare of the Cordillera, more than 220 species of trees have been identified, 20 new species of plants have been discovered, along with at least 41 new species of frogs and 4 of reptiles, including the smallest vertebrate of continental Ecuador, the rocket frog. 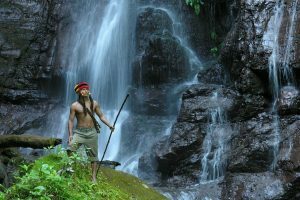 And the jungle has profoundly shaped the identity and ancestry of the Shuar Arutam people. 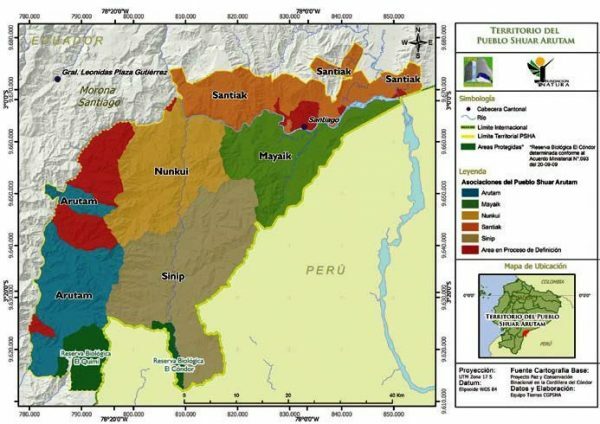 The Shuar territory covers an area of ​​200,000 hectares and is divided into three conservation zones: an area under use, an area with sustainable use of resources, and a conservation area. 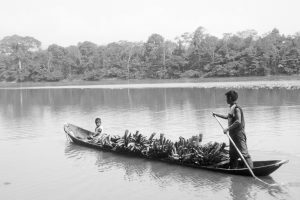 The Shuar Arutam Government Council is the self-governing and autonomous government that protects this territory, working in accordance with the life plan developed by its people. This life plan, one of the first to have been drafted in the country of Ecuador, aims to “ensure a proper model of development to improve the lives of families in the territory, through sustainable use of natural resources”. The territory is seen as the mother that the people care for, and the life plan details and orders each of the different uses of their territory, such as hunting, livestock, fishing, harvesting wood, sacred areas and ajas, that are farms protected by the goddess Nunkui; in which women cultivate food, medicine, and plants for trade, according to ancestral techniques of permaculture. The life plan also details such broad issues as health, education, energy, and communications. Although this territory is recognized as an exemplary ICCA in the country and in the world, it does not currently benefit from legal recognition in its own country. The Shuar Arutam people are currently facing serious problems. Without any appropriate prior, free and informed consent (FPIC) of the people, their territory has been granted in concessions for mining projects. 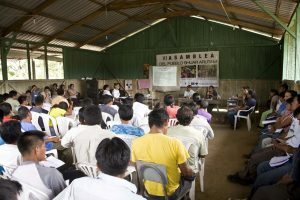 In August 2016, the Nankitz community was violently evicted, and the area has been militarized ever since, in anticipation of the mining extraction activities that are scheduled to begin in 2018. More information on the situation can be found here (in spanish).